I will spend more time in the Luberon! Why am I writing about the villages of the Luberon today? 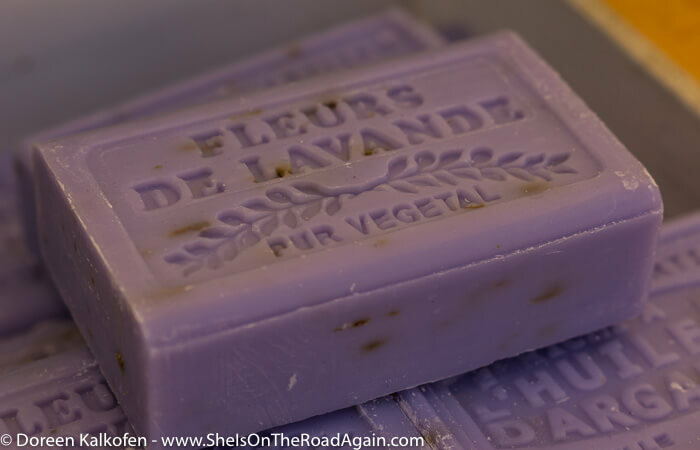 When Carsten and I talk about Provence, we usually mean the Luberon. Me, at least. Cause I’m totally in love with this part of the country and especially the Luberon villages. But it’s the way I’m not really there. I’ll try to explain. I love the sea – in the Luberon there are hills, mountains, rivers but no sea. I love long walks on the Rhine meadows in Düsseldorf – in the Luberon I walk past vineyards and fields and cross villages. 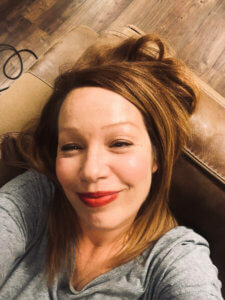 I love restaurants and bars in big cities like Berlin, Hamburg, London, New York – in the Luberon I enjoy old bistros with exclusively French-speaking staff and feel at home. Since the books of Peter Mayle have accompanied my life, the Luberon has been my absolute yearning location. Basically I have to go there at least once a year, otherwise I am not well. 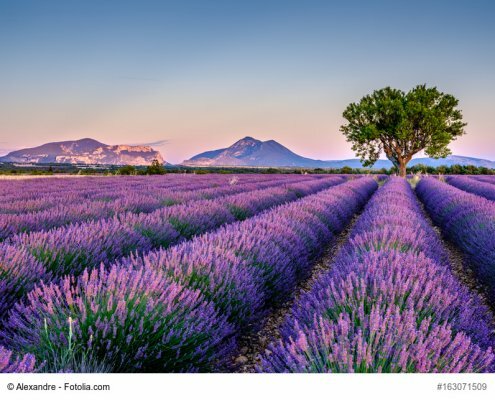 The smell of sun, honey and lavender, which welcomes you when you come to this region in early summer, makes me happy! 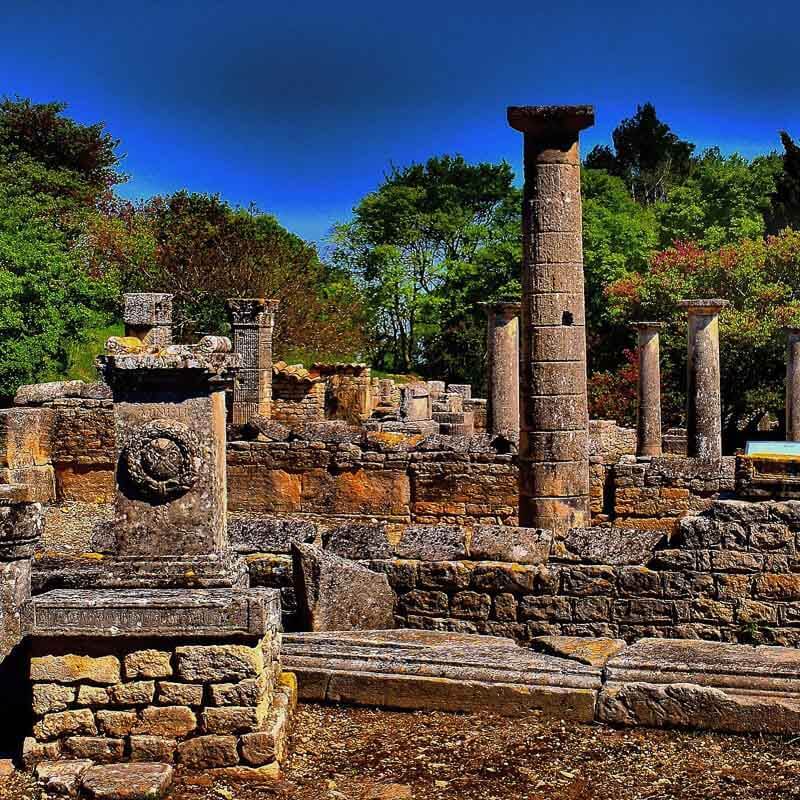 But it’s not just that… It’s also the way they build, how they cook and eat, how delicious the rosé wine from the Luberon is and how varied the nature and the landscape are. Those who know me better or read more precisely and between the lines will have suspected it: It is my dream to be able to stay in the Luberon for a longer time! I work hard to be able to work independently of location, have learned and invested a lot of time in the last few years to be able to work „remotely“ one day. The labour market is developing more and more in this direction – it is good if one educates oneself further and positions oneself accordingly. 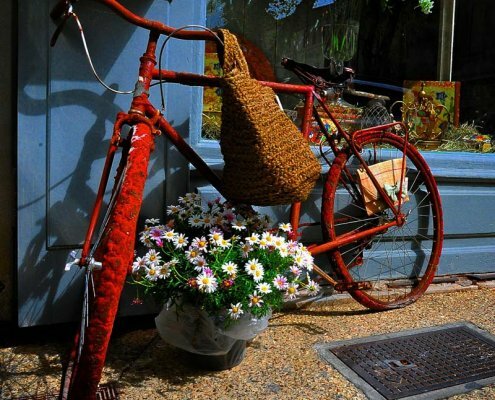 Because my dream is to be able to spend a spring/early summer in the Luberon. By motorhome or in a small, typical Provençal cottage. Until it gets too hot there and we better move on to the west coast of Portugal. But I could also imagine arriving there in early autumn and spending a snowy winter below Mont Ventoux. In a small house with a fireplace and surrounded by strange southern French whose language I only begin to understand. It must be beautiful! I could use the days to write a book, come to your senses and relax from life. Actually, it’s the perfect area for something like this. Because these places are simply stress-free and full of quality of life. 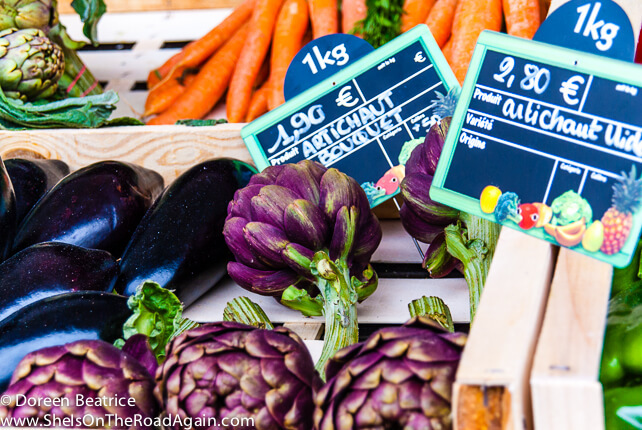 If you take a look at my list of the most beautiful markets in Provence, you will quickly realize how healthy and original life is there. 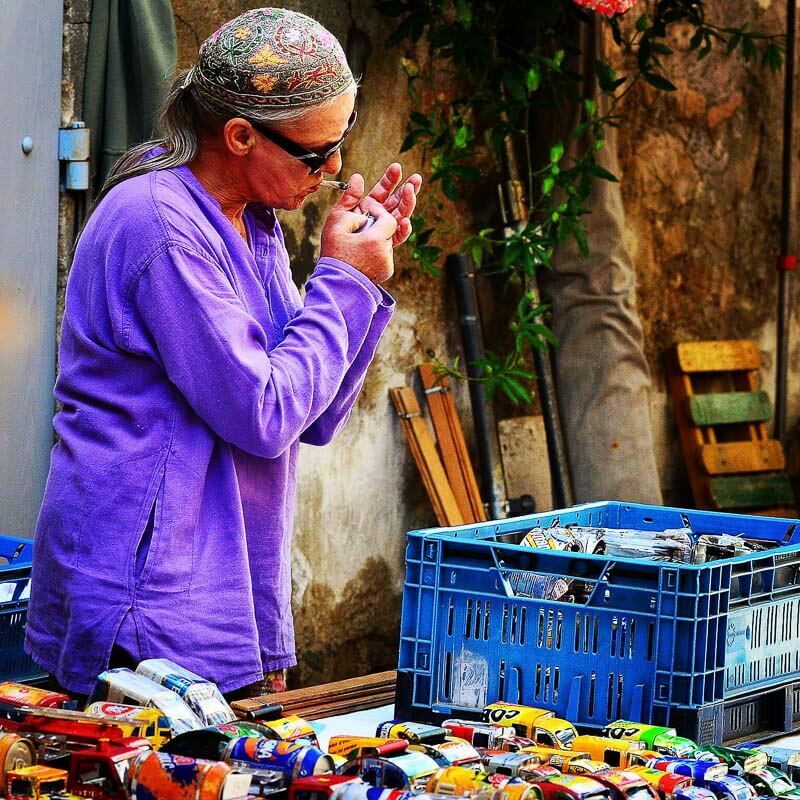 Even the smallest villages has a weekly market (at least in summer). 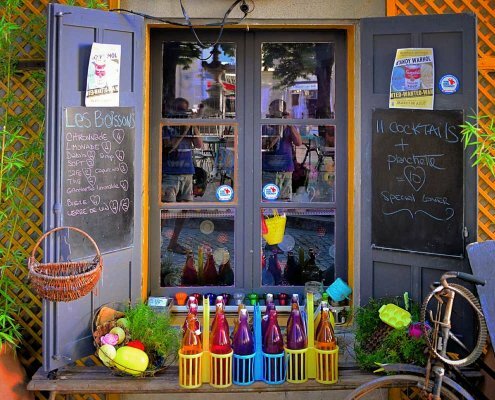 For centuries it has been the meeting place and social centre of the population of the Luberon.In the Luberon they are selling goods from the region. 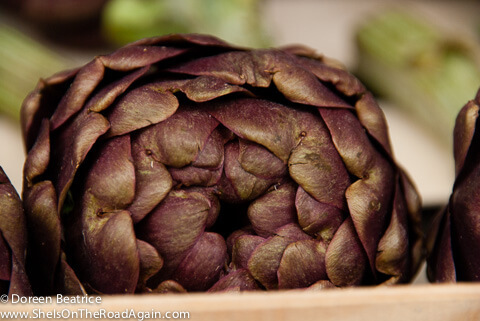 Fruits and vegetables which are really grown in the Luberon. 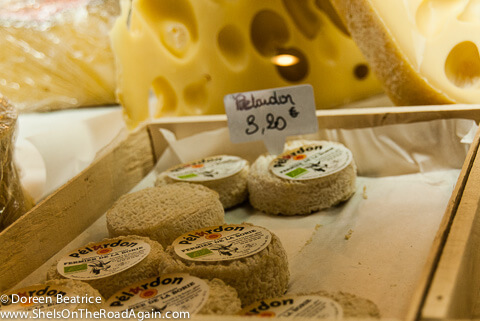 Actually still locally produced cheese, wine, sausage. Specialities such as cassoulet, tapenade, tomato cake and apricot and lavender cake or even this delicious lavender ice cream are offered! And unlike in Germany: the inhabitants shop there! 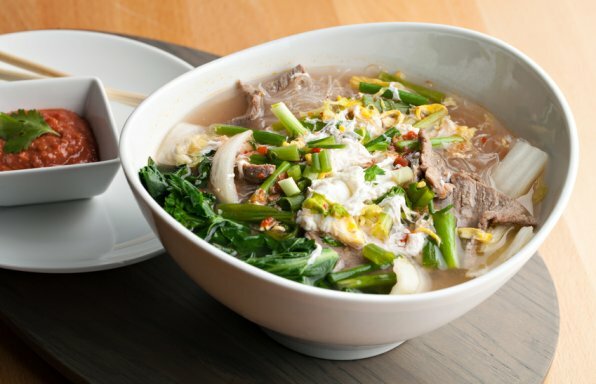 The emphasis is on quality, regionality and freshness. Why buy tomatoes from Spain at Intermarché when you can also buy tomatoes from Provence or all the way south of the Côte Azur? 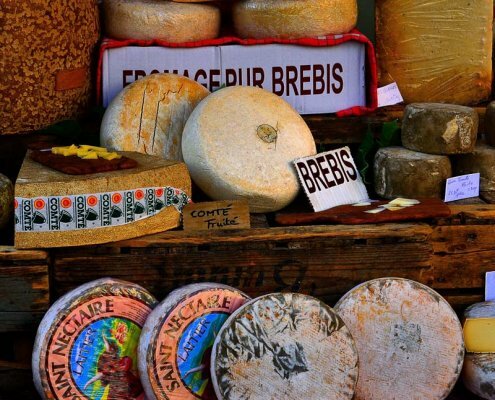 A more favourable price is no argument for a Provençal! On the other hand, the average Provencal has ⅔ less footwear than such a common northern European. 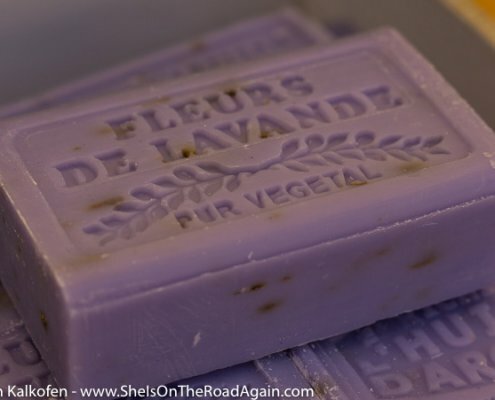 But what can you do with it, in Provence? Where the sun kisses the lavender and the honey tastes of rosemary and thyme, because the bees still find enough food. Why does everything revolve around career and earning money? 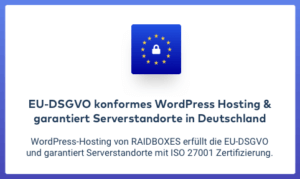 What really brought me to Düsseldorf? Why haven’t I lived where it’s really nice for years? Would I be unhappy if I made a living selling baguettes in the local patisserie in this dreamlike setting? Why is everyone running to the cities to find their happiness? 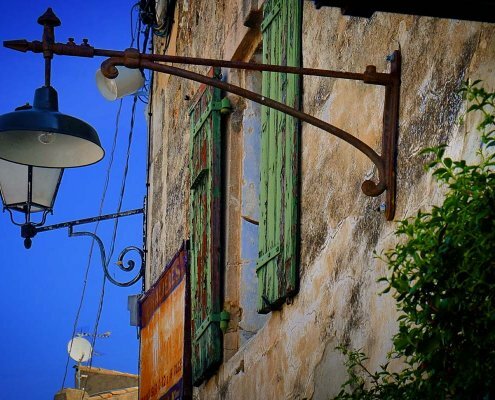 Isn’t luck closer, more tangible in the Luberon? 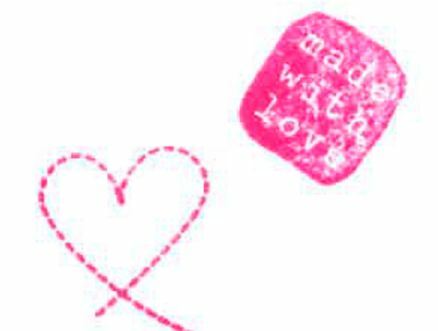 You can’t take anything „with you“ in earthly things anyway? Why do you take on the hustle and bustle of the big city and the stress of a listed company? If you don’t understand what I mean, why I think about it and so on – I recommend this wonderful film: A good year. 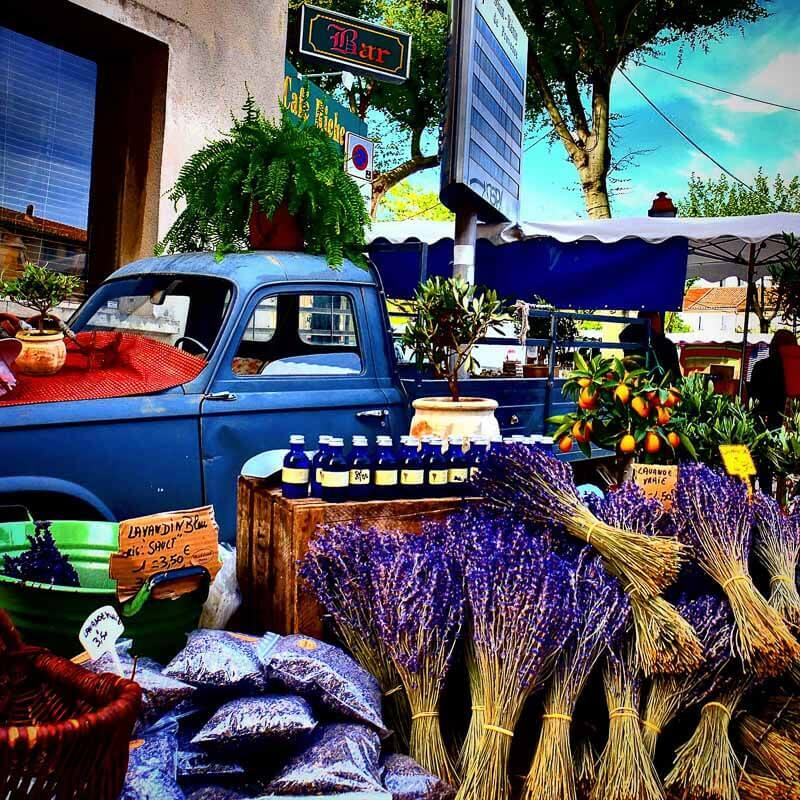 Read now my 7 most beautiful villages of the Luberon, Provence! Most of the pictures in this article are made by Marcel Trapp. 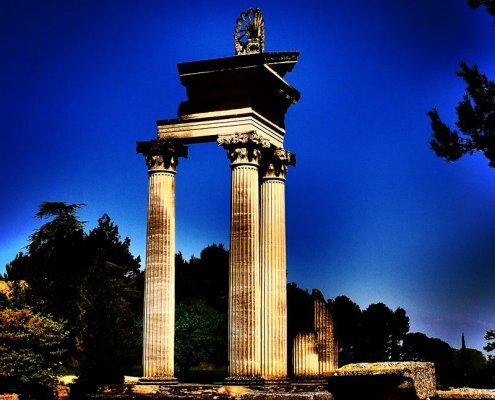 If you would like to see more often pictures of the Provence, you should have to be connected with Marcels Instagram Account. 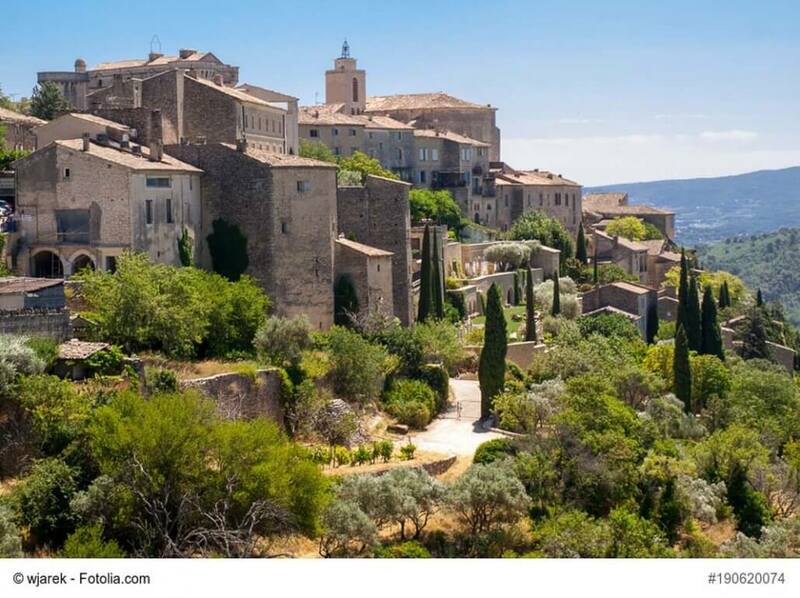 If you like hiking, the Luberon National Park is the right place for you! 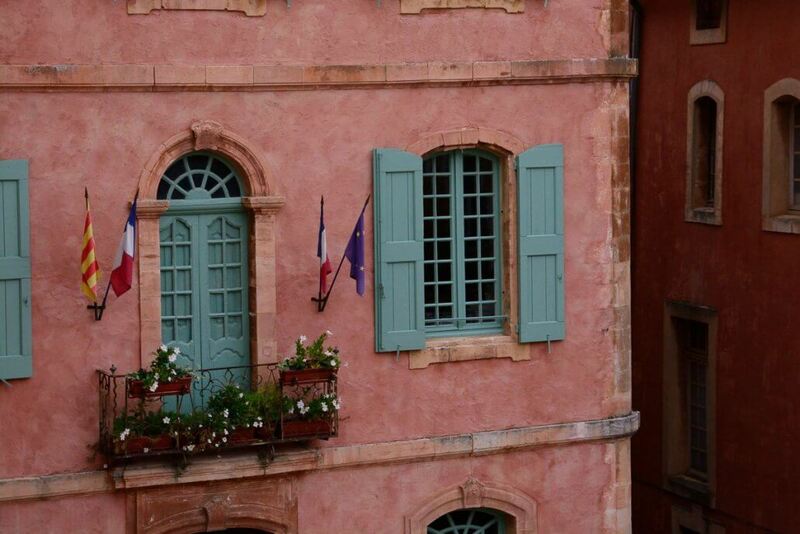 Roussillon was once known for its ochre-rich red soil, which is used as a raw material for paint. 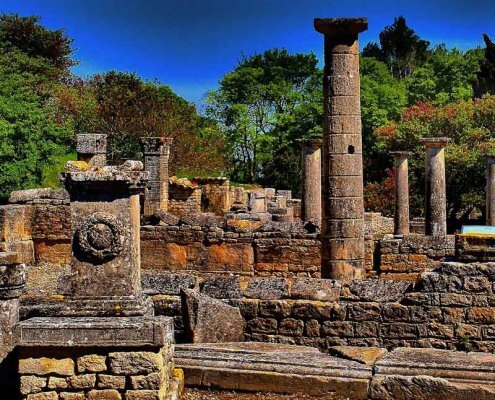 The Romans built this village and until the 19th century it was the centre of ochre mining in France. Today you can only find a paint factory there, which you can visit as a tourist. During the First World War Samuel Beckett hid there in Roussillon (I can well understand – and I would have stayed there directly). With his play „Waiting for Godot“ he set a monument to the place. 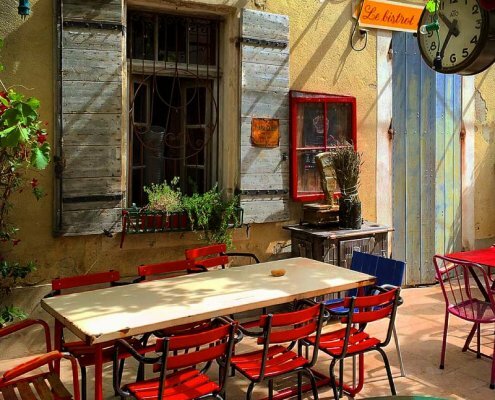 Roussillon is located in the north of the Luberon and is very well suited as one of the first stages on a trip to this region. The centre of the village is cosy and small and there are only a few artist studios with small shops. Can you imagine that, such a white dog, who has rolled all day long on the loamy soil … Wonderful… not. A footpath leads through the former mining area, on which you can explore the entire terrain. On the „Sentier des Ocres“ it runs well, maybe you shouldn’t use your best/newest hiking boots because they will be completely orange after the walk. The trail starts at the cemetery. 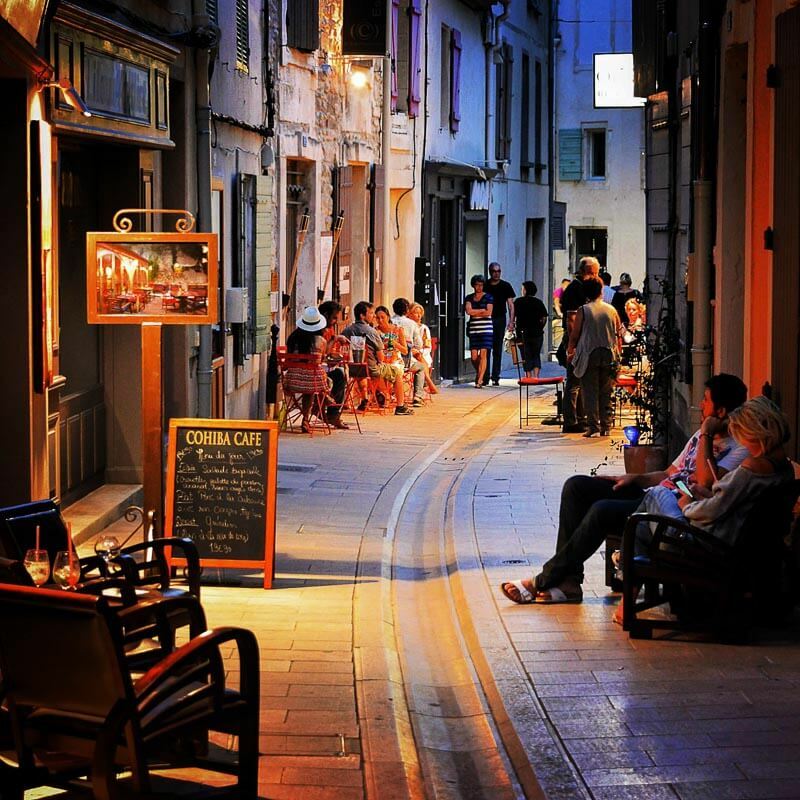 I would call Uzés an unrecognized pearl. In most travel guides this place is not an issue but once you have arrived in Provence, you are often asked if you have already been there. Yeah, you read right! 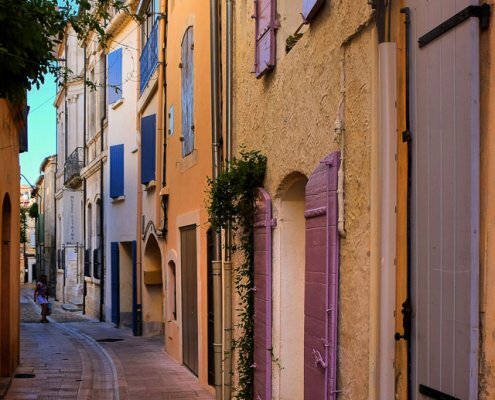 All this can be found in the dreamy village of Uzés with just 8540 inhabitants! 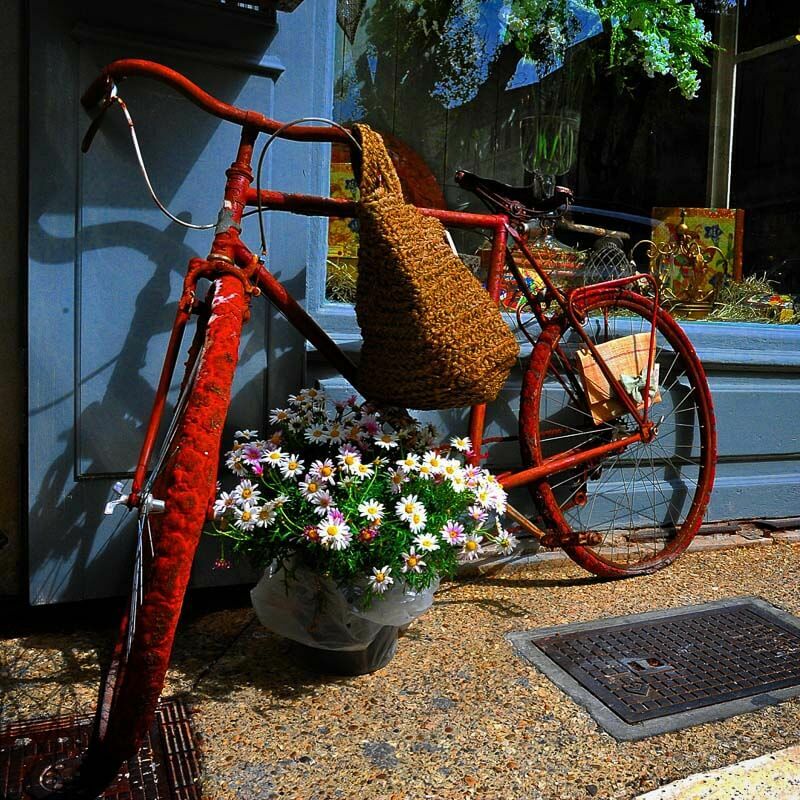 You should definitely have something „small and mobile“ with you when you travel to the Luberon, Provence. Especially when you’re out in your RV. 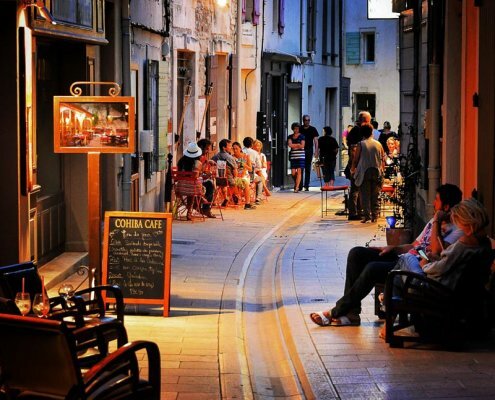 The narrow streets and alleys are not necessarily suitable for excursions with large motorhomes. On my girl tour with Franka we were on the road with a small van and that was really super good. 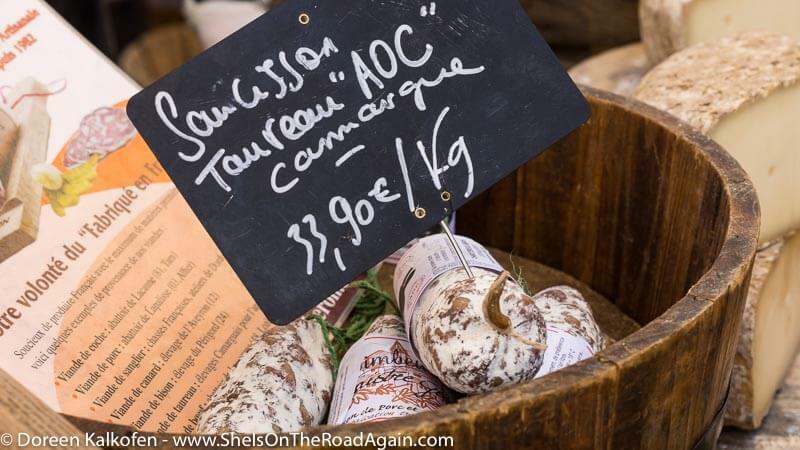 You can also read about our trip to Provence and the Côte Azur on this website! 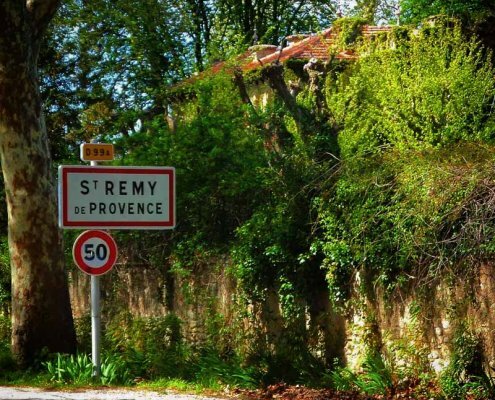 Otherwise it has to be said that Provence is the cycling Mecca. The Tours de France is certainly not innocent of this. So you should definitely take the bikes with you. Or a two-wheeler. Of course this is also really great for cruising from place to place. 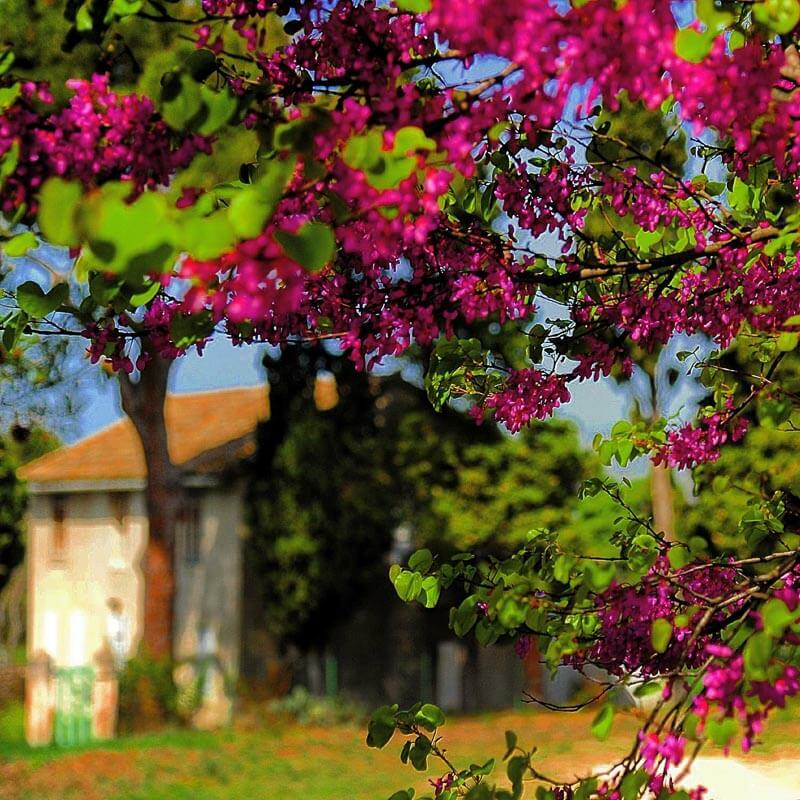 If you are not quite sure, it is best to come to the Luberon by car and rent a mobile home at a nice campsite. Not to be sneezed at are of course the hotels in the area. 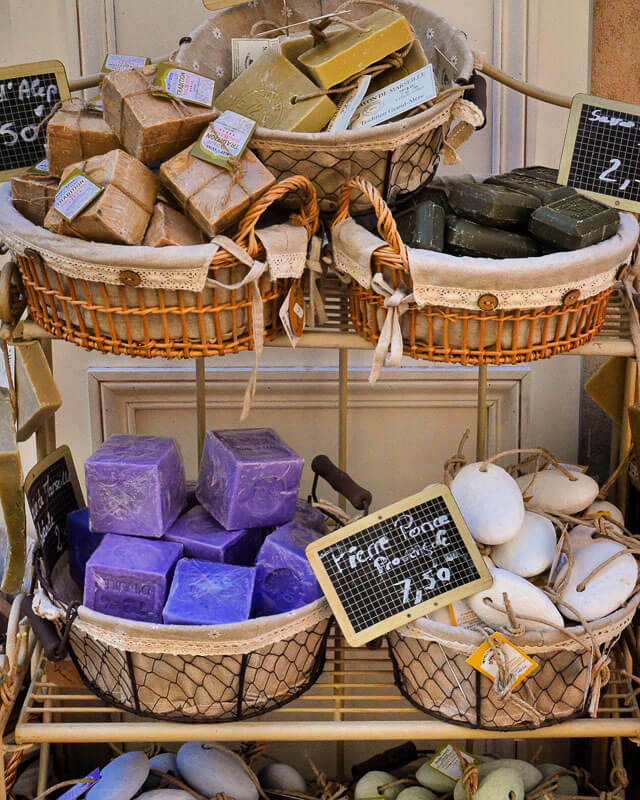 But for a Provence holiday in a hotel you have to dig a little deeper into your pocket! 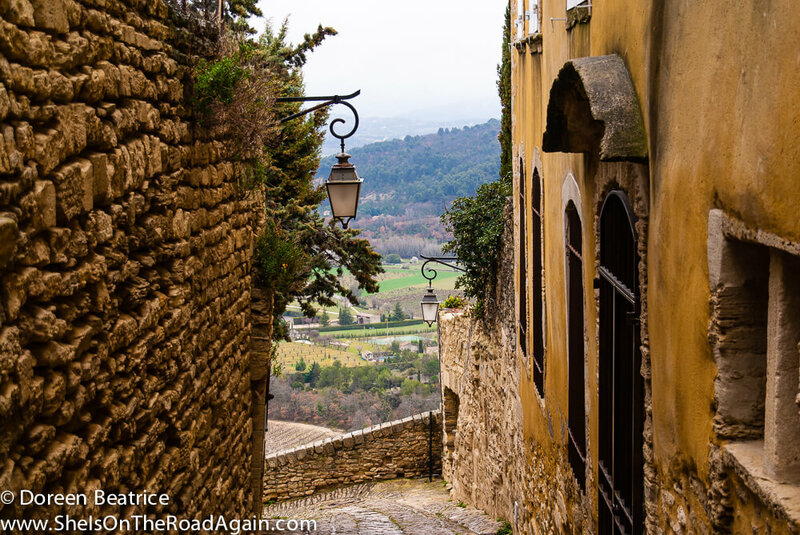 Gordes is probably one of the most beautiful places in Provence. The architecture is really awesome! Sure, it’s mega touristic, but it’s also beautiful. My dream would be to have a house there, with a view of Gordes, which hangs uniquely and paradisiacally on the rock and rises up! The rock village is a very well-known and breathtaking photo motif and should not be missing on your journey to this area under any circumstances! In fact, Gordes owes his current look to a number of artists who discovered and lovingly restored Gordes. 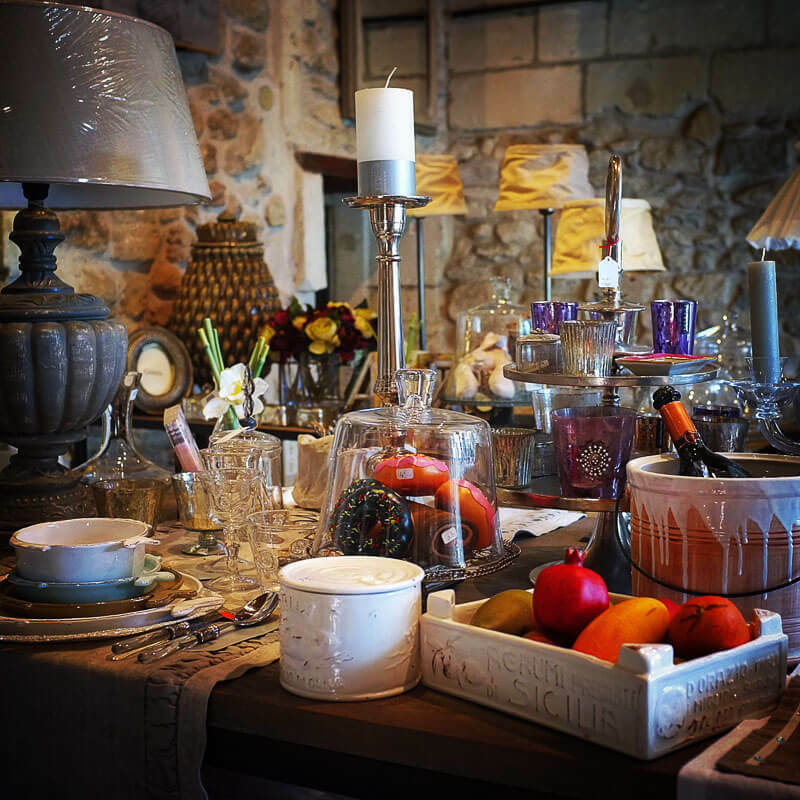 Right in the heart of the village, the Chateáu de Gordes awaits you and on the market square you will meet the restaurant La Renaissance, which became known in my favourite film My Year in Provence as Fanny Chenal’s restaurant. If you love this movie as much as I do, you shouldn’t go into the Renaissance, because if you expect a chic Frenchwoman and first-class cuisine, you will be very disappointed. Since Ridley Scott made Provence a tourist magnet with his film, La Renaissance is the purest Turi rip-off. Unfriendly waiters and absolutely average kitchen. Just a stop for a photo is perfect! 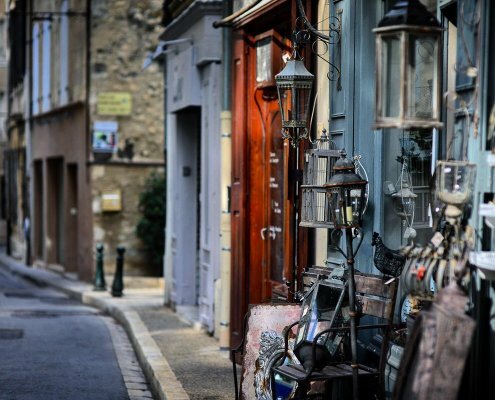 Even if the journey and the parking situation in Gordes is quite adventurous, you should not miss it! At the foot of the village there is a paid parking lot. You can also park your motorhome there. Practically it is so that this place is always well occupied and I would not like to imagine how somebody with a camper (bigger than a van) there would like to maneuver. 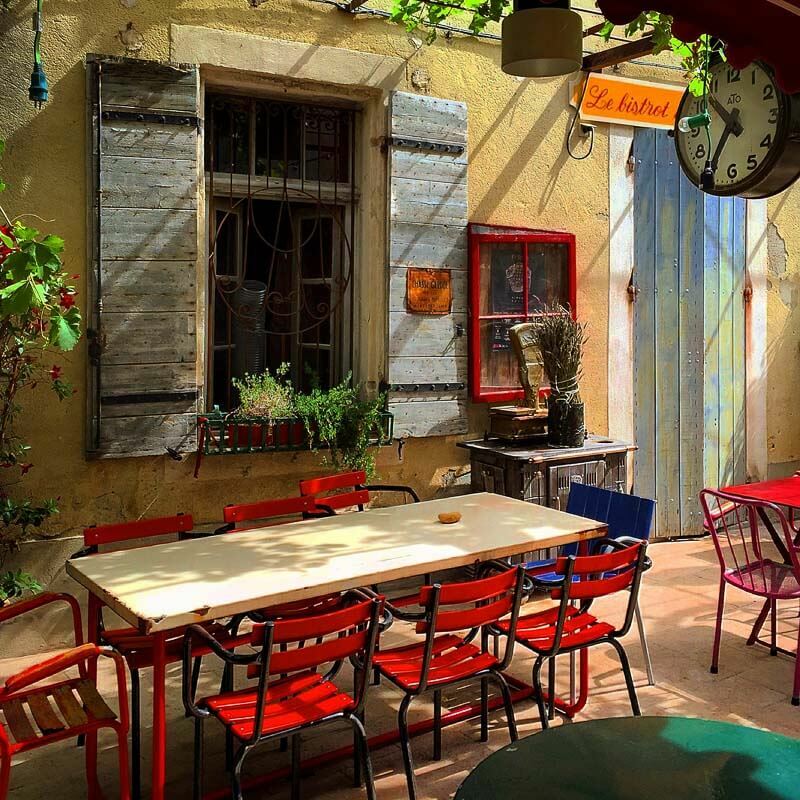 Of course you have the possibility to arrive very early in the morning, then you can spend the day in Gordes and maybe stay there for a night. If you ride your bike up to Gordes, you’ll certainly get off to a good start. With the Vespa or the motorcycle it is certainly an absolute pleasure to cruise through the area in high summer! 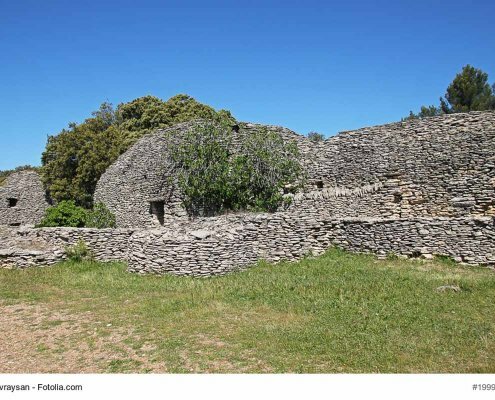 Bories are simple, barrel-shaped stone huts that can be found around the village of Gordes. They were built by mortarless layering of unhewn stones. Probably in the 17th/18th century. This is not quite clear and cannot really be understood. Camping des Sources (Link) above Gordes is an absolute dream! I have rarely felt so comfortable on a campsite! First of all it is mega clean and tidy, then it has really cuddly plots and a GIANT POOL with a view over the Luberon. Disadvantage: the access! I dare to say that the campsite is very difficult to drive on with a camper over 3.5 tons. The access roads are rather narrow circular paths, which are lined with trees, which brings with it low-hanging branches. At that time I was on the road with a small van, but also for this the access from the main road to the camping was really adventurous. We solved this in such a way that my friend Franka ran upstairs and asked the departing passengers to wait. They were also quite happy about it because the way is clearly not two-lane! 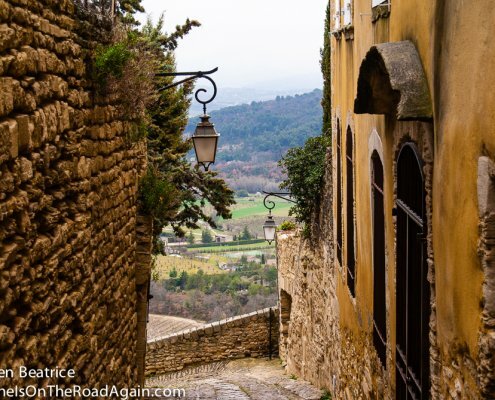 Besides, the way into the valley to Gordes is really not close, but it was always better to walk than to take the way down and up again. 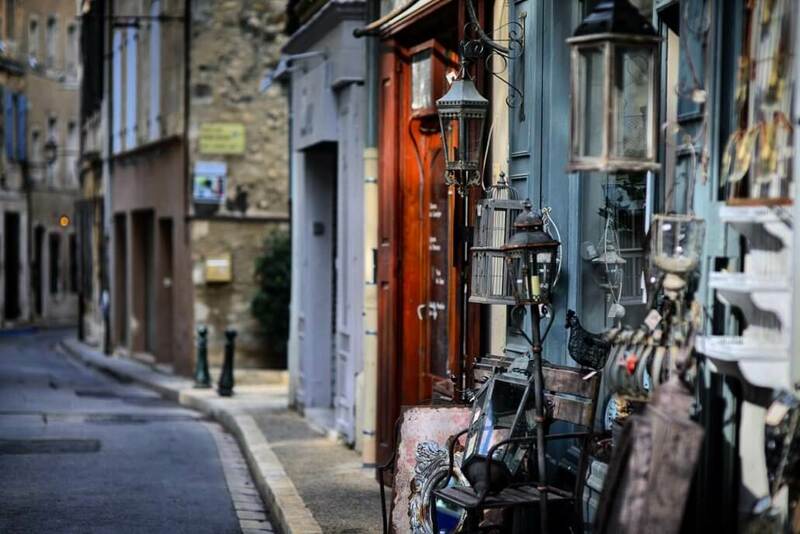 Les Baux is also one of the most beautiful villages in France. 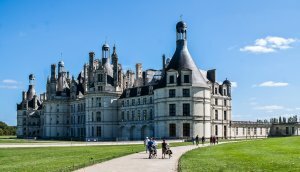 It is surrounded by a castle ruin, which seems to be the largest in France. 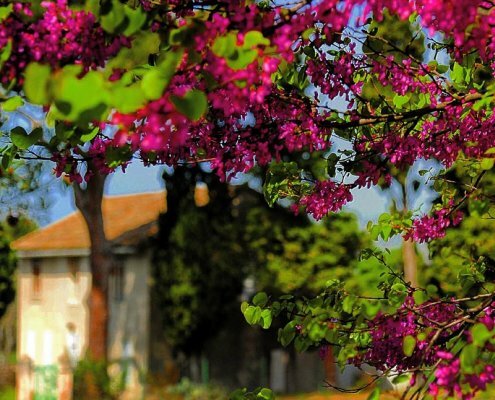 Le Baux, the village’s name comes from the mining of a brown-violet mineral called bauxite. Bauxite was discovered there in 1822 and gave the settlement its present name. Bauxite contains an aluminium compound, which, however, became less and less important with increasing globalisation. So, the mining of bauxite in Europe is now unprofitable and has therefore been stopped. Les Baux lies incredibly beautiful, worked in stone and green and, like Gordes, is situated on the slope. It’s just so different than we know it here in Germany. In my opinion, the whole area is simply spectacular and totally unique. What sights should I list here, Les Baux has so many of them! the Romanesque chapel of Saint-Blaise. 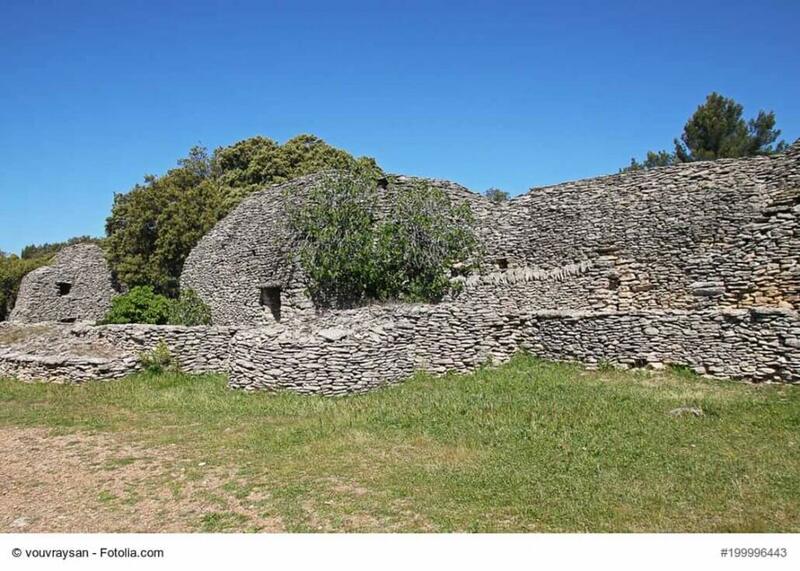 There is no campsite directly in Le Baux. 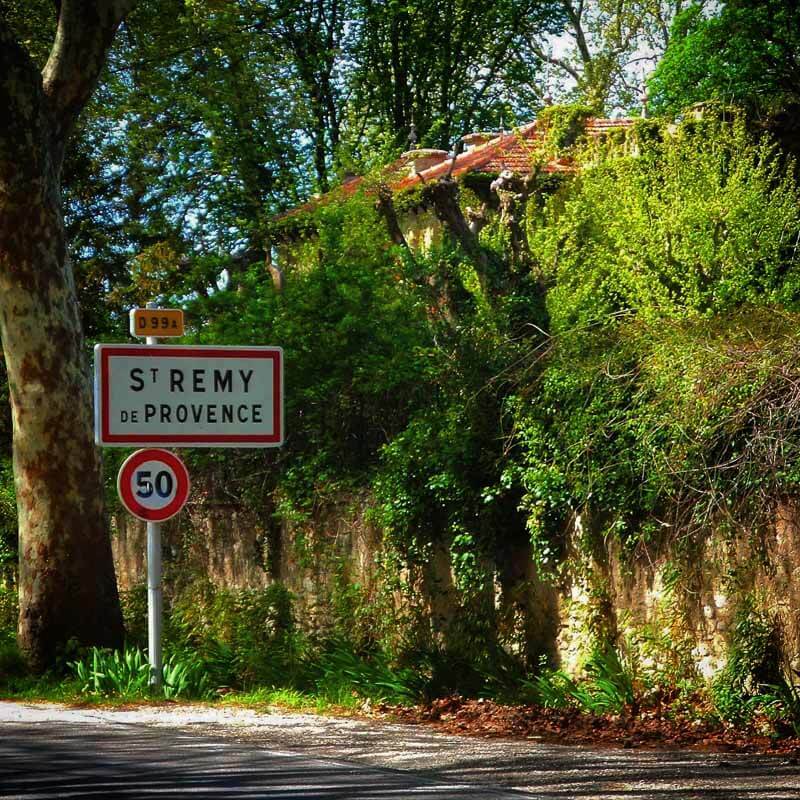 In Provence the places are usually beautifully rural. 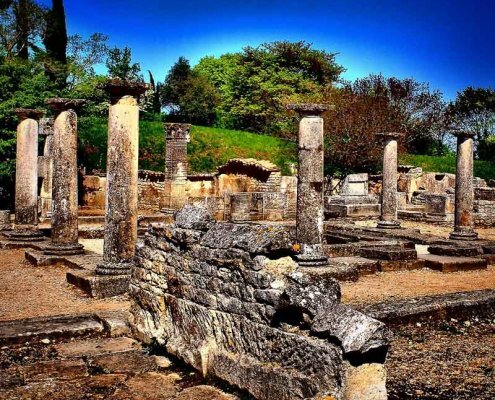 Visit the Camping Les Romarins (Link) and start your tours in the Luberon from there. 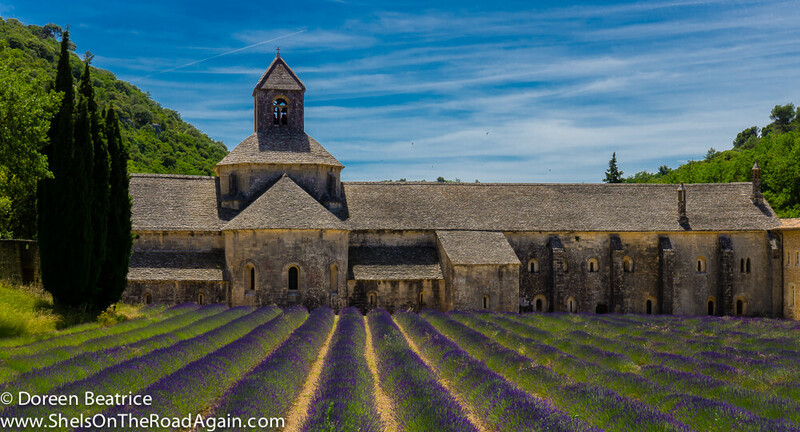 Bonnieux is situated on the edge of the Luberon and is also one of my yearnings. The village is characterised by three churches and the remains of a 129th century city fortification. The houses combine Romanesque and Gothic and the place is known for its narrow streets. Before going up to Bonnieux, there is a slightly larger parking lot at the roundabout. There you could leave the motorhome and continue on foot or by bike. Following the road signs you will inevitably pass Cháteau Leys Eydins and Cháteau La Canorgue. Both wineries are the main locations of Ridley Scott’s film – A good year – written by Peter Mayle. Of course I visited both Cháteaus and bought wine. Both are biodynamic and the white wine and rosé are a real delicacy. Anyone who has seen the film should take at least one bottle of Le Coin Perdu with them, but leave it cold and dry for at least 3 more years so that it can develop. Yes exactly, Le Coin Perdu does exist and is not a pure invention of Peter Mayle. If you visit Bonnieux, you can’t ignore Lacoste and the corresponding Cháteau. The city wall of Lacoste and the stone arch bridge from the year 3 before Christ. 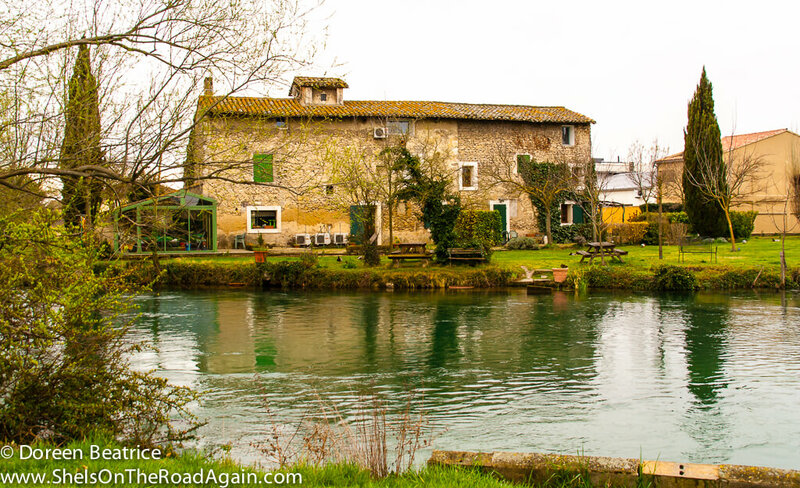 L´Isle sur la Sorgue is a small town that, as its name suggests, is crossed by the provençal river Sorgue. 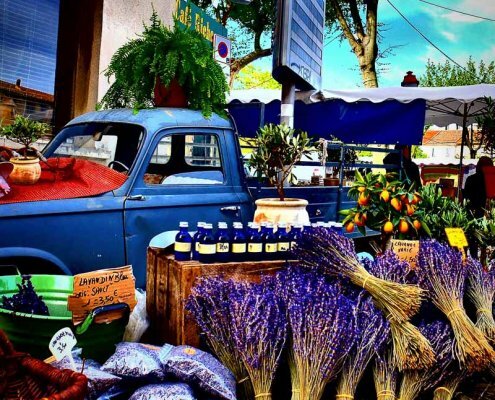 It is known for hosting the most beautiful and largest market of Provence and of course for the huge antiques market that takes place during easter and runs through the entire town. Over 300! antique dealers are always open here (friday-sunday). 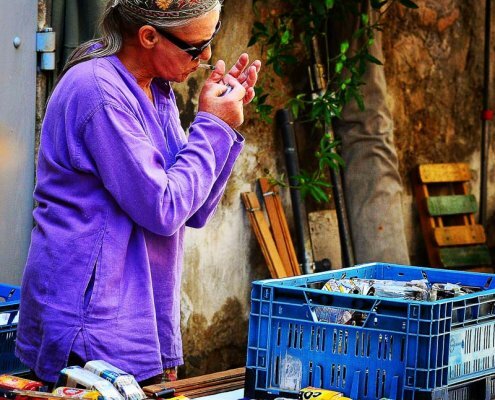 I personally like the antique markets at easter and August, 15th most. The town centre is characterized by several nice cafés and restaurants, from the local campsite you always walk along the river into the small town. Whoever takes the way to the city on foot will be thrilled. At least I feel that way every time. All houses on the riverbank have a jetty for a boat or a small staircase directly into the water. In summer I often saw residents swimming there. Since the source of Sorge/Fontaine de Vaucluse is not far away, you can certainly imagine how ice-cold the water is! 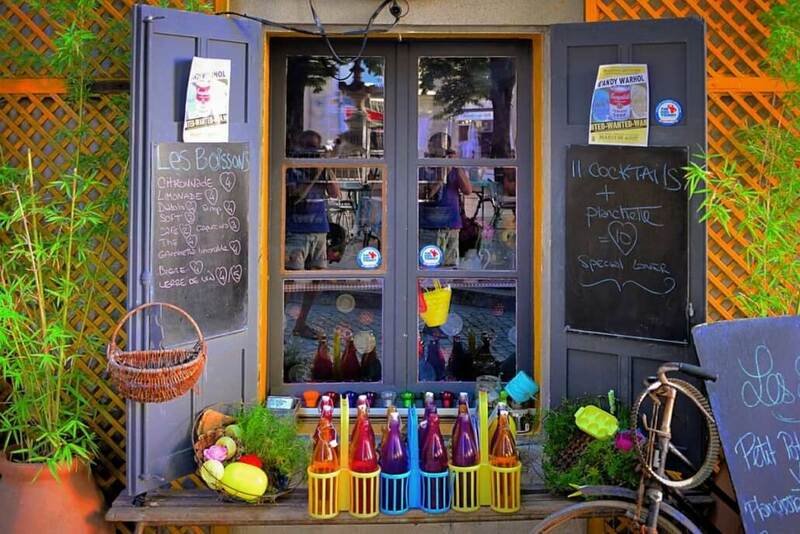 If you are in Isle sur la Sorgue, then visit the little restaurant of Daniel Hebet Le Jardin du Quai! On my last visit the friendly ladies of the campsite reserved a table for us. I admit La Sorguette is not the most beautiful campsite on my travels through Provence, but for me it has its charm. 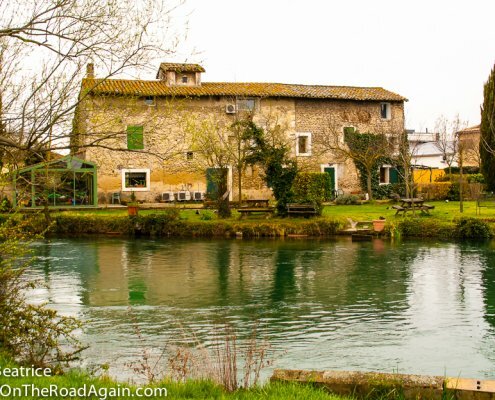 It is situated very romantic along the Sorgue and through a back exit you can reach the river meadows very quickly with the dogs, can relax there and dogs (and humans) can, if desired, jump into the water for a cooling down. It is simply important to me that a campsite has a good round and I don’t have to walk along busy roads forever. English is spoken at the reception of La Sorguette, reservations should be made in any case during the season! The access road to the campsite is well developed and is ideal for larger vehicles. 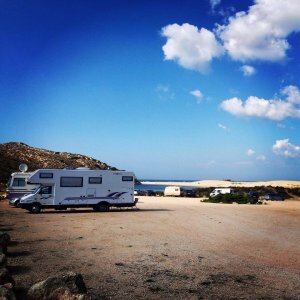 If you book a place there and drive a larger motorhome, you should definitely say so. Some places are surrounded by hedges, but it is difficult to drive up and park. You should be assigned a place where you can park well. 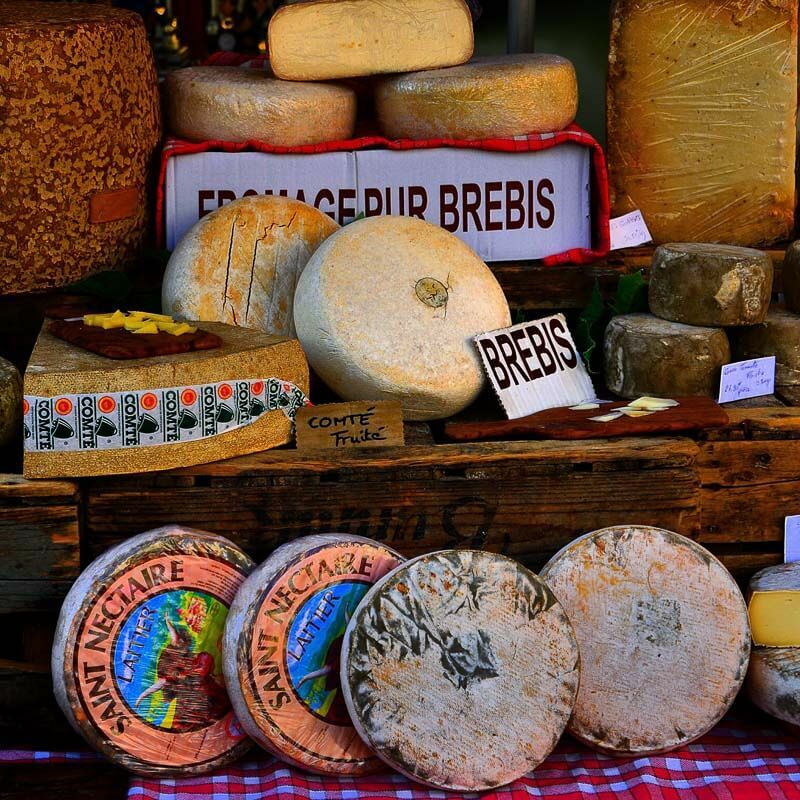 You should definitely visit the special shop Les Delices du Luberon and get some regional delicacies for your evening in the shade in front of the motorhome. Be sure to ask for the olive oil on black olives! This is available in different sizes, but in any case in canisters (small and large). This is a special taste explosion! 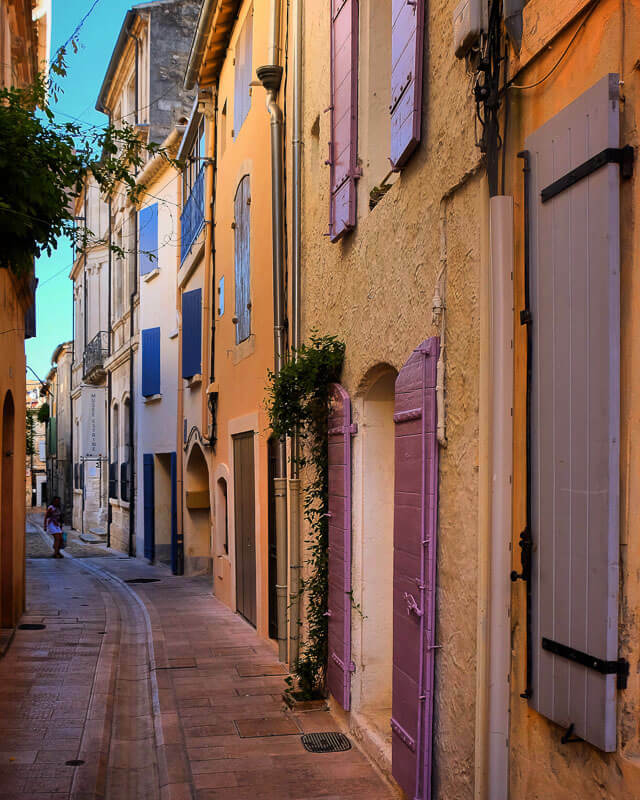 Saint Rémy, the birthplace of Nostradamus is an especially beautiful destination and is ideal as a first stop for your journey to the wonderful Provence. 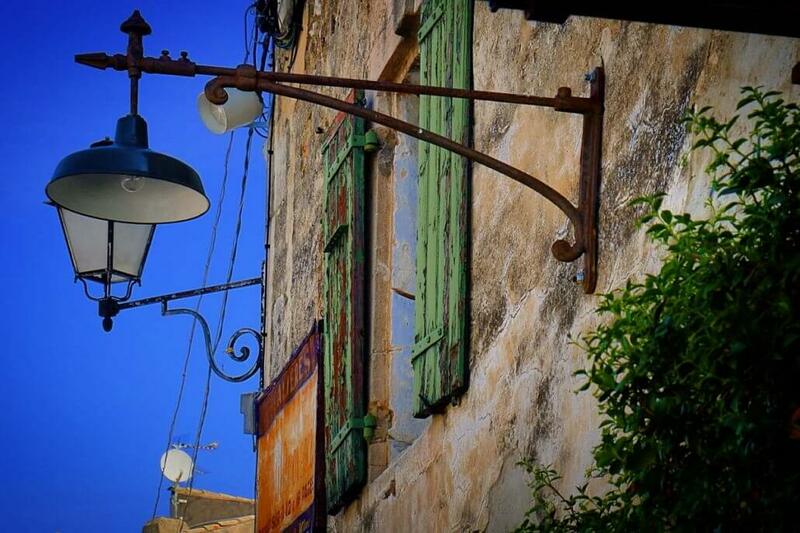 Saint Rémy is also known as the capital of the way of life, where you will find everything your heart desires. 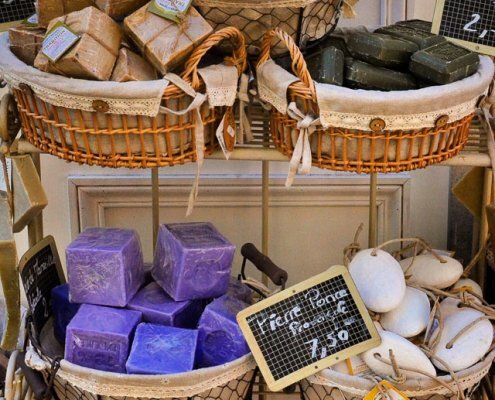 Art, culture, small guesthouses, great campsites, hiking in landscapes that van Gogh has already immortalized, not forgetting the excellent Provencal products such as olive oil, tapenade, melons and wines. 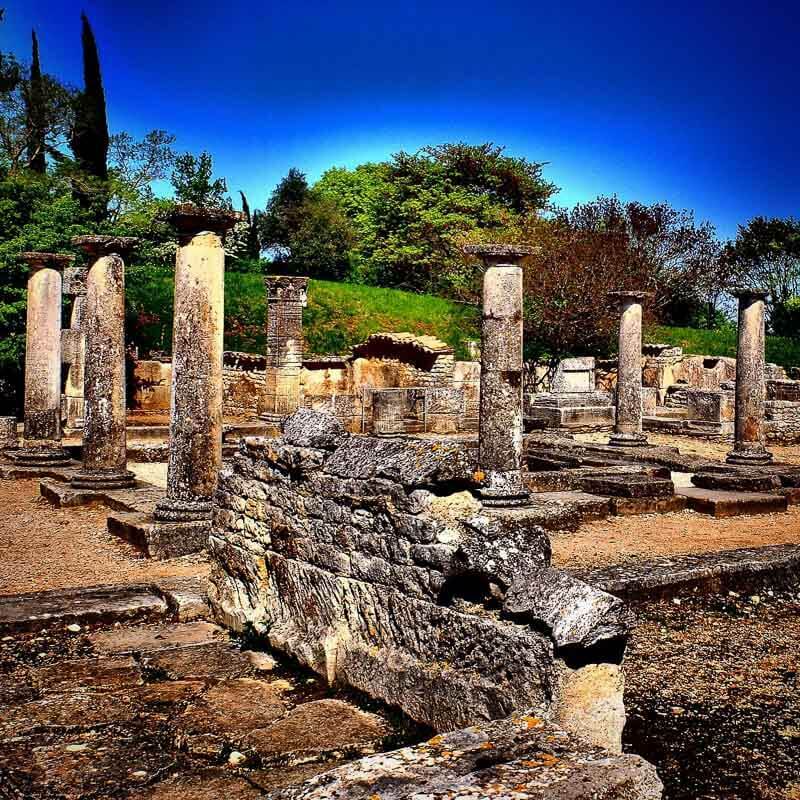 I would also like to mention the proximity to Glanum, the largest ancient Roman excavation site in Provence. 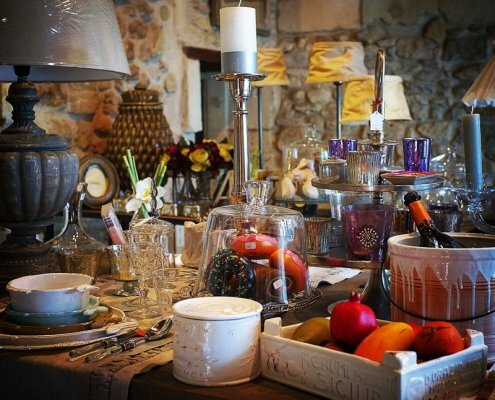 Visit the beautiful Office de Tourisme Luberon website for more information and inspiration about Provence. Thanks a lot for the beautiful pictures Marcel! It’s such an incredibly inspiring area – off in the car, the van, the plane and go there! Don’t be afraid of the language! You’ll get ahead without any knowledge of French, I promise! 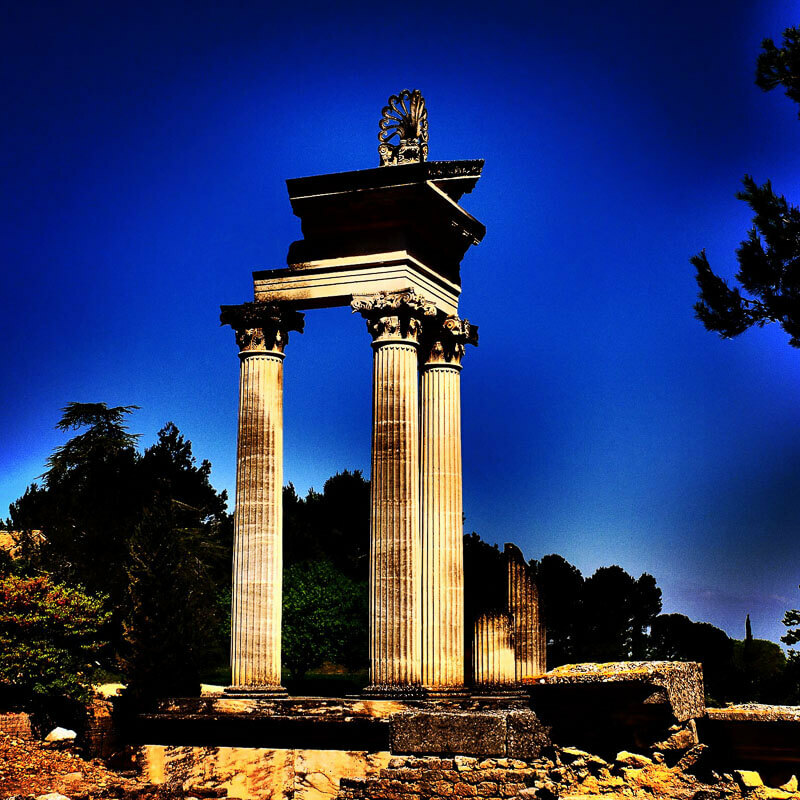 Do you know my article about the beautiful campground close to the Pont du Gard?